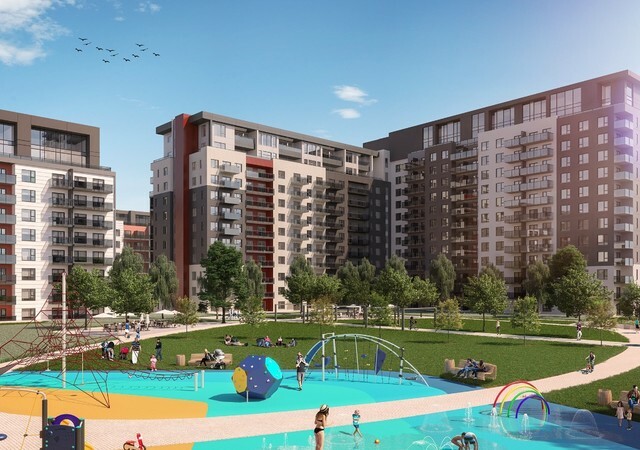 Spacious and bright, Urbania's condos feature an environment tailored to the new needs of people who want to live in the suburbs: retaining an urban aspect while remaining close to nature and wide-open spaces. The project offers condominium units from 1 to 3 bedrooms. Houses divided on two floors with garages are also developed for families or professionals working from home. Urbania 2 also offers a children's play areas and a private courtyard.